It’s about how you arrive with the all-new Acadia: Holden’s premium large SUV with bold styling, powerful road presence, comfort and space. The much awaited all new Acadia, Holden’s large seven-seat SUV, has itself arrived in Australia and is available now to test drive at your local Holden dealer. 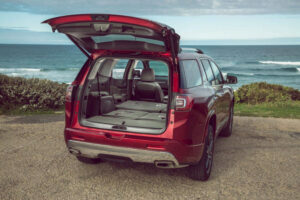 “The Holden Acadia is a head-turner,” said Dave Buttner, Holden Chairman and Managing Director. “With its strong stance and striking appearance, driving an Acadia makes a confident statement. Acadia is big on space and comfort, and clever when it comes to convenience. A genuine seven-seater, Acadia’s second seating row adjusts front to rear allowing leg room for all and maximum usability of the spacious third row. Both rows of rear seats fold flat for extra cargo capacity if need be, meaning Acadia is tailor made for flexibility, comfort and utility. Holden’s new Acadia offers cleverly integrated storage throughout, including a console drawer for second row passengers and a covered under-floor bin in the back where items can be stowed out of sight. There’s even a rear seat passenger reminder that alerts you to double check that there are no sleeping kids, pets or valuables before you leave the vehicle. Acadia boasts a full suite of active safety features across the entire range, all designed to help drivers be more aware of their surroundings and avoid potential crash situations. 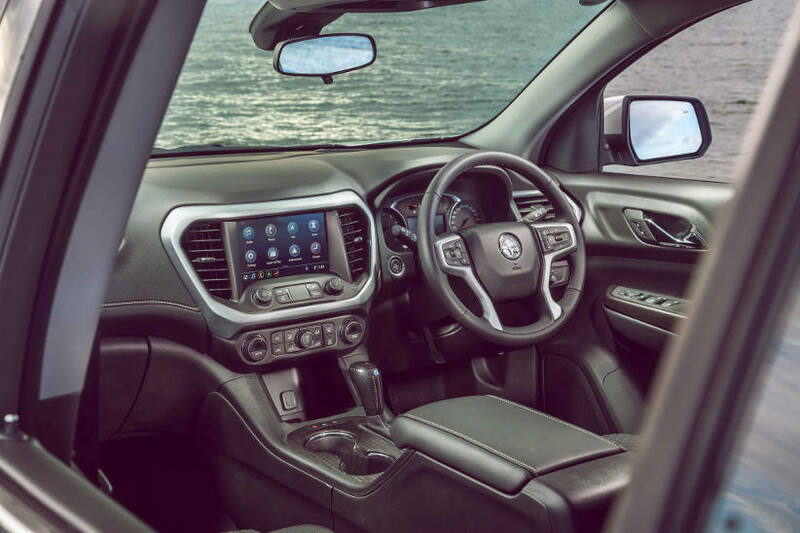 Acadia will also help keep your passengers entertained with an 8-inch Holden next generation Infotainment touch-screen with Apple CarPlay and Android Auto and USB ports in all three rows. And not just any old USB ports, these are 2.1-amp fast charge versions – just what you need to recharge an iPad. Other clever Acadia features include Traffic Sign Recognition (TSR), so if you miss a sign that indicates a change of speed limit, TSR tells you. Holden engineers have undertaken tens of thousands of kilomteres of real-world testing in Australia to ensure that TSR is both highly accurate and reliable across the extremely diverse range of road signs encountered around this country. Did you know that every state and territory has different school zone speed signs? No, neither did we, but our local engineers found out and made sure that TSR works accurately with all of them. Then there is the Hitch Guidance with Hitch View, which helps you line the vehicle up when you’re hitching a trailer and lets you check on it while driving – which coupled to the transmission’s carefully calibrated ‘Tow Haul’ mode makes it easier to use the Acadia’s 2000kg braked towing capacity. The Holden Acadia is the first GM vehicle to utilise ‘Tow Haul’ mode in the 9T65 automatic transmission. This mode changes gear shift patterns under specific circumstances while towing to aid drivability, performance and stability. Built to rule the road, Acadia is powered by a 3.6 litre V6 petrol engine with direct fuel injection, stop/start and active fuel management across the entire range. Its 231kW and 367Nm are put to the road via a nine-speed automatic transmission and the customer’s choice of two or all-wheel variants. Acadia returns combined fuel consumption figures of 8.9 L/100km in two-wheel drive and 9.3 L/100km in all-wheel drive using standard unleaded fuel. 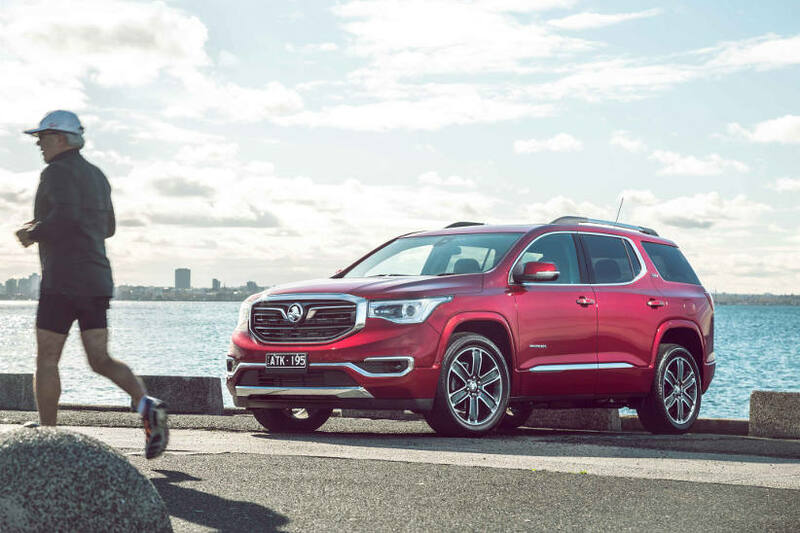 Holden’s ultimate highway cruiser, the Acadia achieves its plush ride and confident handling via a combination of McPherson strut front and five link independent rear suspension. This combination was tuned and tested locally by Holden engineers at the company’s iconic proving ground at Lang Lang in Victoria. In addition to local engineering work, Holden also put a fleet of Acadias through real-world local testing to accumulate a share of 1.5 million testing kilometres. Buttner said Holden now offered a full range of competitive and great-to-drive SUVs to suit all buyers. “With the addition of Acadia to our SUV family – Trailblazer, Equinox, Tourer and Trax – Holden is determined to be on the shopping list for all Australians looking to buy an SUV,” said Buttner.